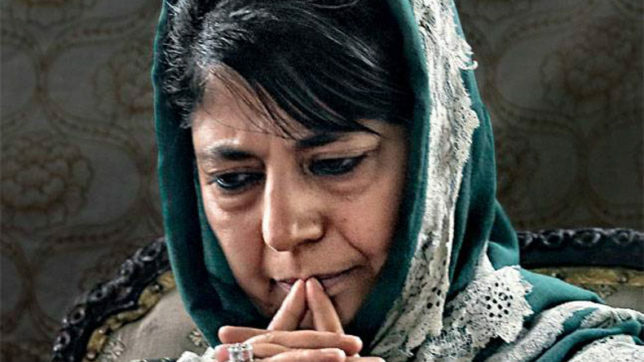 Srinagar: A day after divisional status was accorded to Ladakh region of Jammu and Kashmir, Peoples Democratic Party (PDP) President and former Chief Minister Mehbooba Mufti opposed setting up of headquarters of the new division permanently at Leh. “Keeping HQ permanently at one place is total discrimination with the other area, so the best option is to keep the HQ at both Leh and Kargil on rotational basis,” Mehbooba tweeted on Saturday.Jammu and Kashmir Government on February 8, this year approved creation of a separate Administrative/ Revenue Division for Ladakh. As per the government order, this division will comprise of Leh and Kargil Districts with its headquarters at Leh. The Government has also approved creation of the posts of Divisional Commissioner (Ladakh), Lehand Inspector General of Police (Ladakh), Leh. “We have received many suggestions and calls from Kargil today expressing their disappointment with the unilateral decision taken by the governor administration in their attempt to please the BJP which was recently routed in local bodies elections there and also is facing a crises after the resignation of their MP,” PDP senior leader and former minister Naeem Akhtar had said in earlier statement issued on February 8. He added that the best resolution to this is to keep the headquarter both at Leh and Kargil at rotational basis. “It should ideally be in winters at Leh because of air connectivity and in summers it should be in Kargil. Unless that is done, this would create more problems in the sensitive region than it would solve,” Akhtar said.